NCVPS Virtual Support Center – Students should open a Support Center (help desk) ticket if they have any of the following questions or problems: general questions about NCVPS, username or password doesn’t work, they are unable to submit an assignment, something doesn’t work in their courses. The Support Center also helps e-learning advisors, school and district staff personnel, NCVPS teachers, and parents. NCVPS Instructors – Instructors help students with all instruction and grade questions. E-learning Advisors – ELAs help students with registration and other school-based issues and questions. Peer Tutoring Center – Peer tutors help students with content in their courses, technical questions, quick questions, and every other part of being an online student. In the ticket, include your name, PowerSchool number, your email, and the course and teacher that you need help with. If you’re an ELA opening a ticket for a student, be sure to include all that same information in your ticket. The response from the Support Center will go to your email address. Sometimes the responses end up in your spam folder, so be sure to check there if you don’t see an email confirmation after you submit your ticket. Online tickets will be addressed throughout the instructional day. We will handle these in the order they are opened. Each school has an e-learning advisor (ELA). The ELA registers students and provides support at the school level. Peer tutors can helps students in numerous areas. Follow this link for full details on the peer tutoring program. Quick Question services are available to all NCVPS students. The purpose of this service is to quickly provide assistance to students as they begin to navigate Canvas and their courses. Virtual Buddies help students with time management, organization, study skills, motivation, and encouragement. 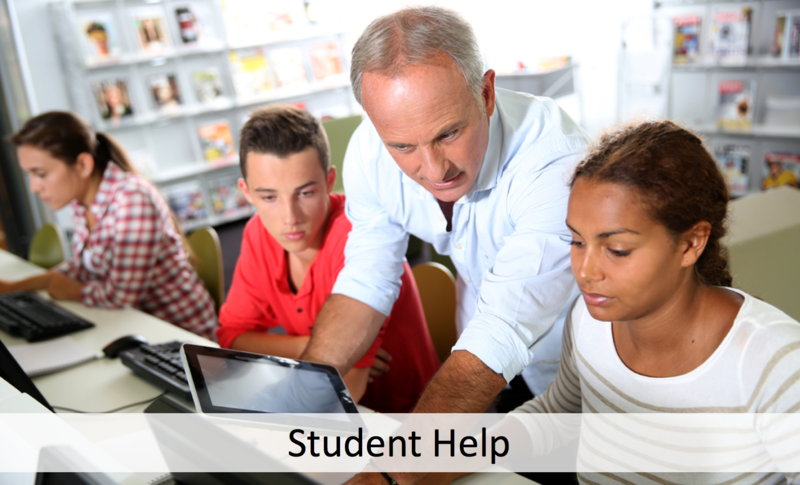 Peer Tutoring helps students with specific needs within their courses. They can help explain the content in a course. The Writing Center provides detailed feedback and encouragement in the writing process. The English Language Learner Center works with EL students one on one to assist them in achieving success in all of their courses. Tech Support helps students with the basic technology in an NCVPS Canvas course. Unsure how to submit an assignment, Tech Support will help! College Readiness Services includes resources for Study Tips, Standardized Testing, Class Help, Extracurricular Activities, and the NCVPS Cafe. It also houses an interactive discussion forum for students to ask questions about topics like Applying for College, Preparing for Exams, Scholarships, Internship Opportunities, and Extracurricular Activities.